Lately I've been really busy. Either personal or work related, I just couldn't draw some free time for blogging. But worry not, I'm here now for more China travel tips. 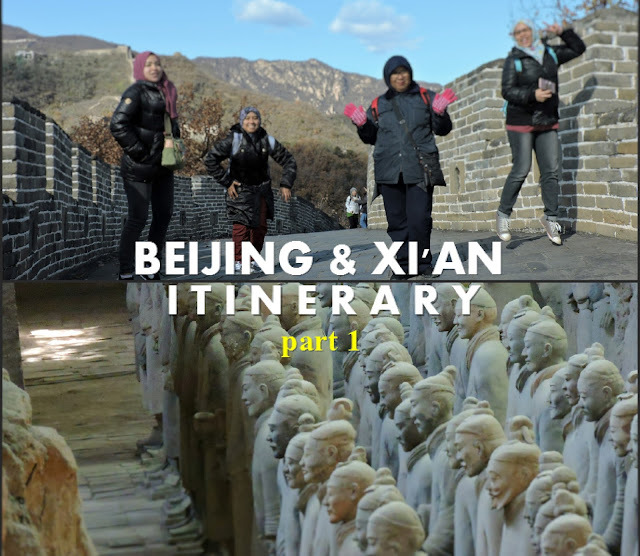 About a month ago, I visited Beijing Xi'an with a group of friends. Me visiting Beijing isn't something surprising. I'm super familiar with the place like it's my hometown. But Xi'an? Hmm that's new. New challenge could be real fun, but how do yo plan something that you've never experience? 3rd Day - Beijing : Mutianyu Great Wall. Wang Fu Jin during night. 4th Day - Beijing : Nearby park for relax. Quick shopping. 14-hour train. 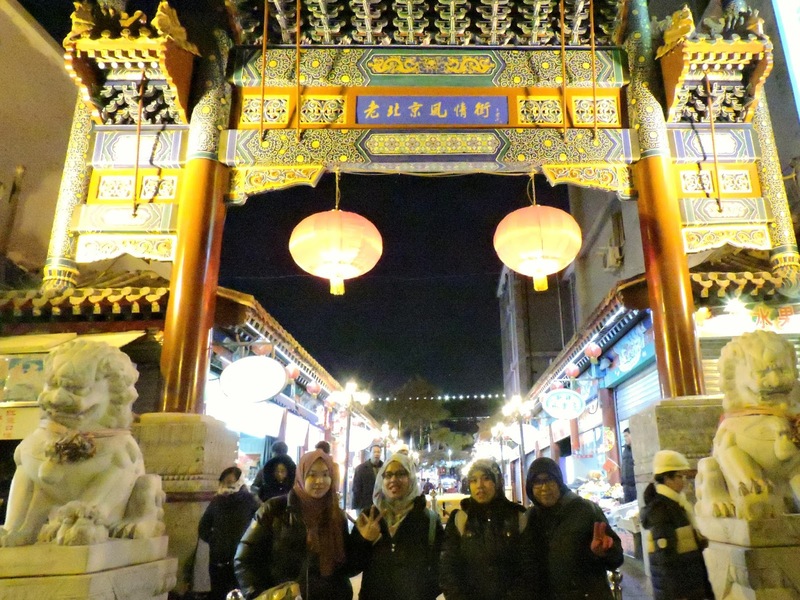 5th Day - Xi'an : Muslim street. Drum Tower. Bell Tower. Hot pot at night. We arrived at the Beijing International Airport two hours after midnight. All five of us were in tight-budget travel, that means none o us wished to spend money on unnecessary stuff. So what we did was, we waited in the airport till 7.00 am for the express subway to open up. Although the terminal wasn't much of a place to relax, it still provided steel chairs for you to sit around, or maybe sleep if there wasn't much crowd. Also, there were Starbucks and KFC that operated 24 hours non stop. Fare for express subway to either two final stations cost RMB 20 per person. It was actually cheaper than my previous trip to this city. And once we got off on city subway, we got ourselves a Beijing transportation card, or Yi Tong Ka (一通卡). It could be used for subways and public buses. This would cost you RMB 40, with RMB 20 credit and another refunable RMB 20. This card could be refunded on any subway station in the city. Our group loved the idea of staying in the university I one attended., Beijing International Studies University (北京第二外国语学院). It was mid November, so we were right about having less students. The school located in fifth ring and next to Chaoyang Road. It also shared a wall with Communication University of China (传媒大学). I'm not going for hotel's details now. It will be mentioned in the next post. Just like any other trips, first day is the most exhausting day. So our group just stayed around the university and enjoy the crisp all this city had to offer. In my opinion, getting a local number is always a priority. So I took one of the group members and went to China Mobile center, located on Chaoyang road. It was about 8 minutes of driving for our hotel. Or you could simply get a bus. Beijing lately has introduced a strict rule that requires foreigners to purchase simcard only in the center. That would be to track down every phone user in the city. The cheapest simcard we bought cost RMB 50 and another RMB 20 for processing fee. We bought two cards for the entire group. The two meals were pretty simple, we had lunch in the Uyghur restaurant called "Alibaba", located on Dingfuzhuang East Road. It was near to CUC station. As for dinner, we dined in the university's Muslim cafeteria. Cheap and tasted lovely. Each meal cost around RMB 20 per person. 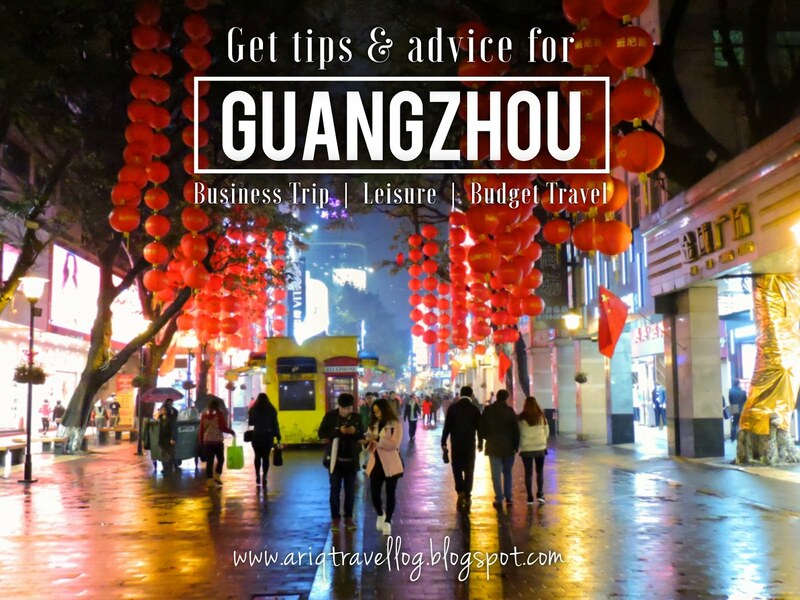 Due to major exhaustion, we spent the night strolling around Dingfuzhuang and Chaoyang road. The streets were pretty crowded every night, with students and hawkers on each corner. A great place to look for snacks and cheap winter outfits. Second day was super refreshing. Indeed, getting enough sleep is a key of satisfying travel. 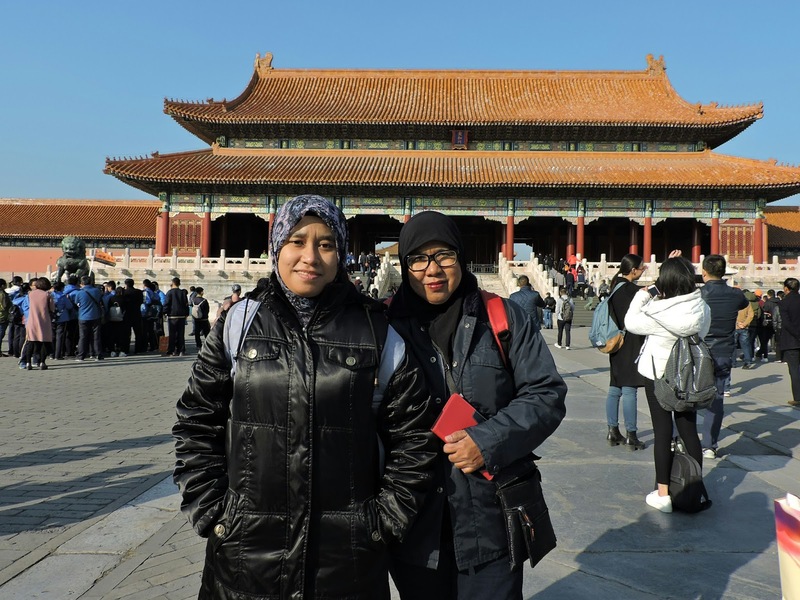 We started the morning with breakfast in the same Muslim cafeteria and headed to the Forbidden City (故宫/紫禁城), located in the middle of Beijing City. The palace was accessible by city subway. The entrance fee cost RMB 40 per person. It would cost differently if you were local Chinese or student. And as always, every corner of this city was filled with crowd, even on weekdays. But it would be really odd if you came to Beijing and not visit Tiananmen Square and Forbidden City. It total, we spent three hours in this palace and got out around 4.00 pm. It was a huge maze in there. Next, I had told the group that I'd made an appointment with an old friend of mine in Peking University. I wanted to interview this friend and get to know more about her student's life in this city. This topic will be shared in different post. The interview lasted around two hours and we were told with great stories. After Peking University, we headed for Nan Luo Gu Xiang (南锣鼓巷). Beijing is quite famous for its alleys, or Hutong (胡同). Nan Luo Gu Xiang is one of the Hutongs. You could find all sort of cafes, restaurants, hawker stalls and souvenirs all around them. In short, we focused mainly on first and second ring of the city. It was much easier to commute, without needing you to travel long and far. And also, we spent very little money. Exactly like how we wanted. Third day pretty much cost us a fortune. We hired a driver and a van for a trip to Mutianyu Great Wall (慕田峪长城). RMB 600 for the entire day. 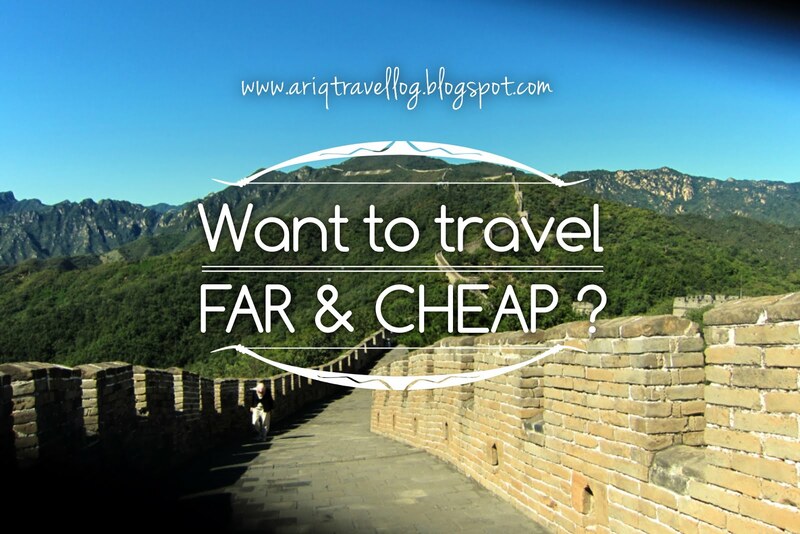 If you were looking for a cheaper way, look for Badaling Great Wall (八达岭长城). It is accessible by subway and public buses. The reason I chose Mutianyu was because of the view. Unlike Badaling, this section of Great Wall has better and taller view. 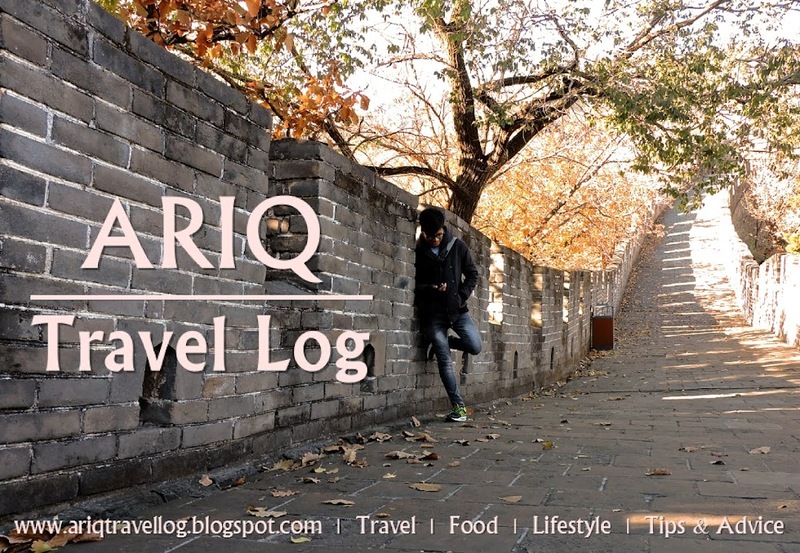 The trip took us around two hours from Chaoyang district. When we arrived, it cost a total o RMB 150 for each of us to enter. Mutianyu used to be very cheap, less than RMB 100 for everything. But lately, tourist were getting more and more. Hence, the government had upgraded the place and set a new fee. After completing the visit, we were welcome with rows of souvenirs near downhill. Of course, the price were insanely expensive. But if you had no option but to buy it there, try hard to negotiate for cheaper price. I bought a snow globe for RMB 20, after talked down the price from RMB 80. But I should have tried harder, I could get that for RMB 10 from somewhere else. On the way back to the city, we asked the driver to drop us near the subway station, as we were planning to go to Wang Fu Jing (王府井). There is a subway named after the place, so you don't need to worry about finding it. Wang Fu Jing itself is an area name, or a street. It is surrounded by big malls and expensive hotels, a very common view in the city center. But what we were really looking for was Old Beijing Street (老北京风情街). Why Old Beijing? Because hawkers here were selling food that people used to eat decades ago. And surprisingly, that included food that are inedible. Yeah! 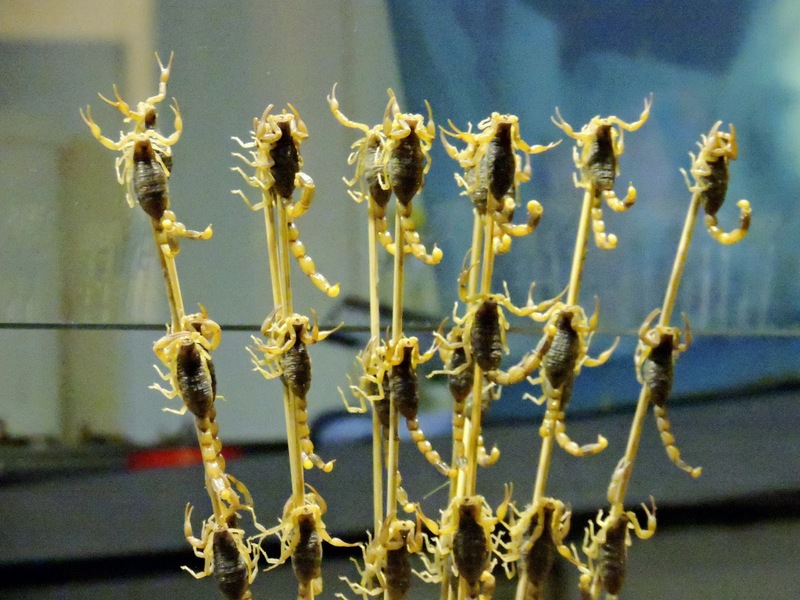 I'm talking about scorpions and scary-looking insects. Honestly, even until today, I still have no idea would there be anyone buying the deep-fried gigantic black tarantula. Or those were just for display purpose. Either way, it was oddly satisfying to witness that kind of weirdness up close. I guess that it's for today's post. I seriously do not want to drag this up to ten pages long. I'm going to share the rest of our trip in a second post. But or now, I wish you guys a very good luck on any coming trip to China.